I bought these beautiful G.H. 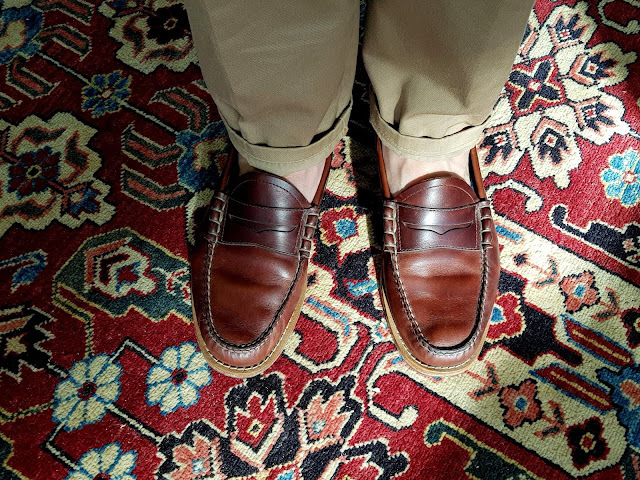 Bass & Co. Weejun Penny loafers a couple of years ago and have featured them on my 'Outfit of the Day' Instagram posts several times. 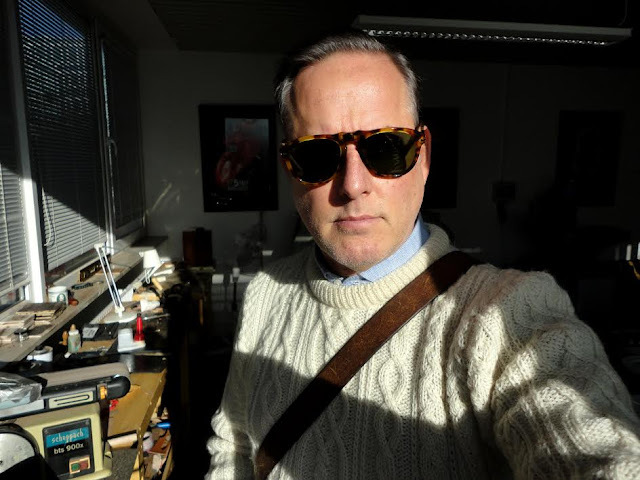 So I'm thinking it's high time for a complete review. 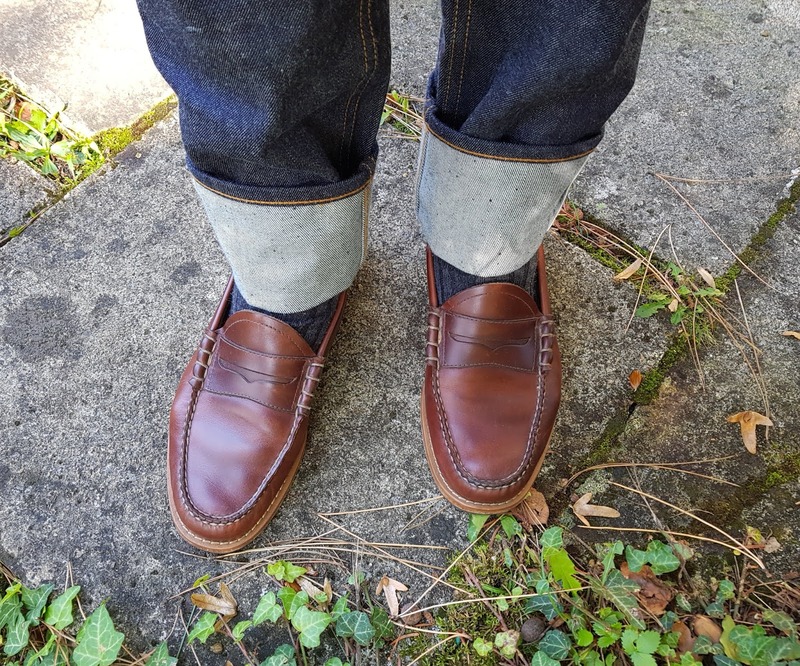 These are the second pair of Weejuns form Bass I have owned recently (the first being a two-tone pair that in their standard high shine leather). 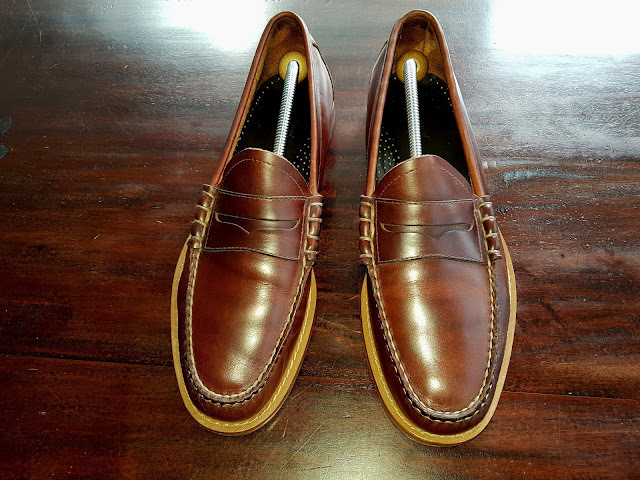 The reason that I prefer this pair is that they are made from thick beautifully finish full grain pull-up leather that has a much more honest natural leather feel that their standard high-shine leather, which while genuine leather has a heavily corrected grain finish that to me feels very plastic like. 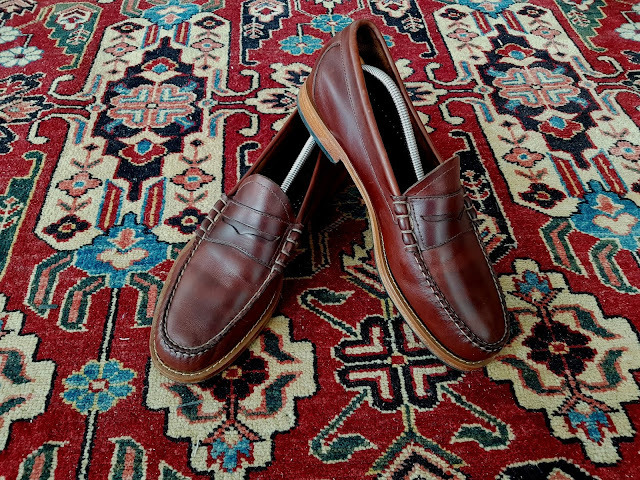 These Weejuns, on the other hand, have a soft low-shine finish that is typical of full grain pull-up leather. 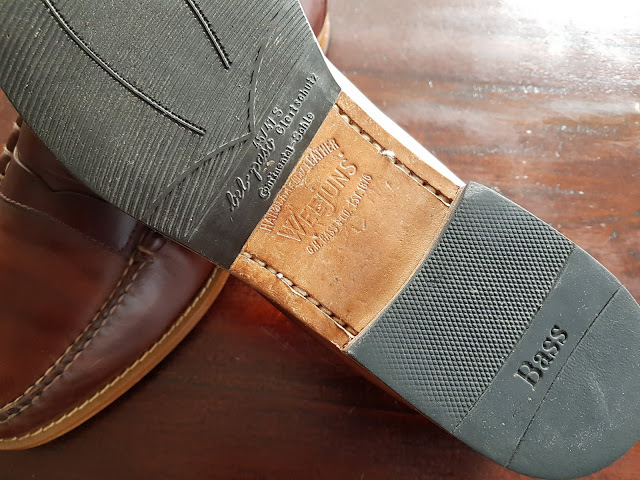 The leather soles and heal are beautifully finished as well and I have added rubber sole caps to make them more durable and to provide better wet weather traction performance. 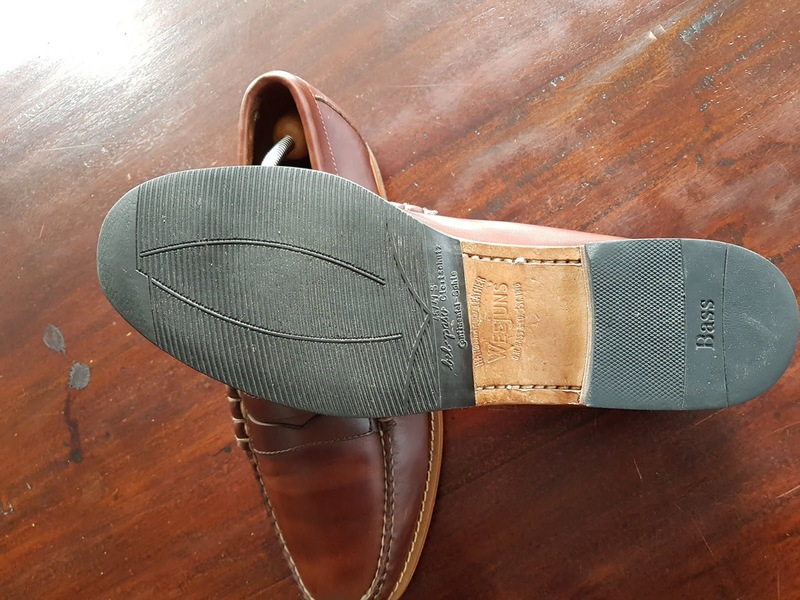 I do this with all my leather sole shoes and find that with the rubber sole caps, the soles virtually never wear out and since I tend to take reasonably good care of my uppers, my shoes will essentially last forever. These shoes I took with me on several trips on the last couple of years including a week-long trip to New York City in the summer of 2017 (walking many city miles each day) and they performed perfectly and as you can see, the rubber sole caps on none the worst for wear. 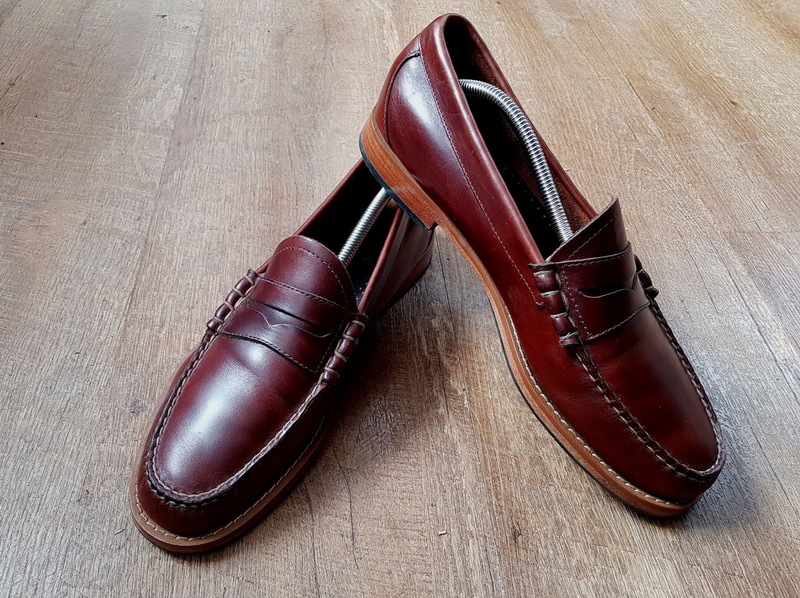 I purchased these in UK size 10, which usually works for me, but since these are slip-ons and since a keep them in shoe trees when not in use, these have stretched a bit. They still work fine especially with thicker socks, but if I were to purchase them again, I would go for a half size smaller.